Another month – another Simon Hanson song and video! Cos the lifts had cameras in them. 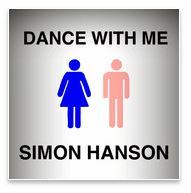 2 Responses to "Dance With Me"
I enjoyed the song probably more than Simon enjoyed the experience! Definitely go the feel of The Kinks’ “Lola” about it (L O L A).